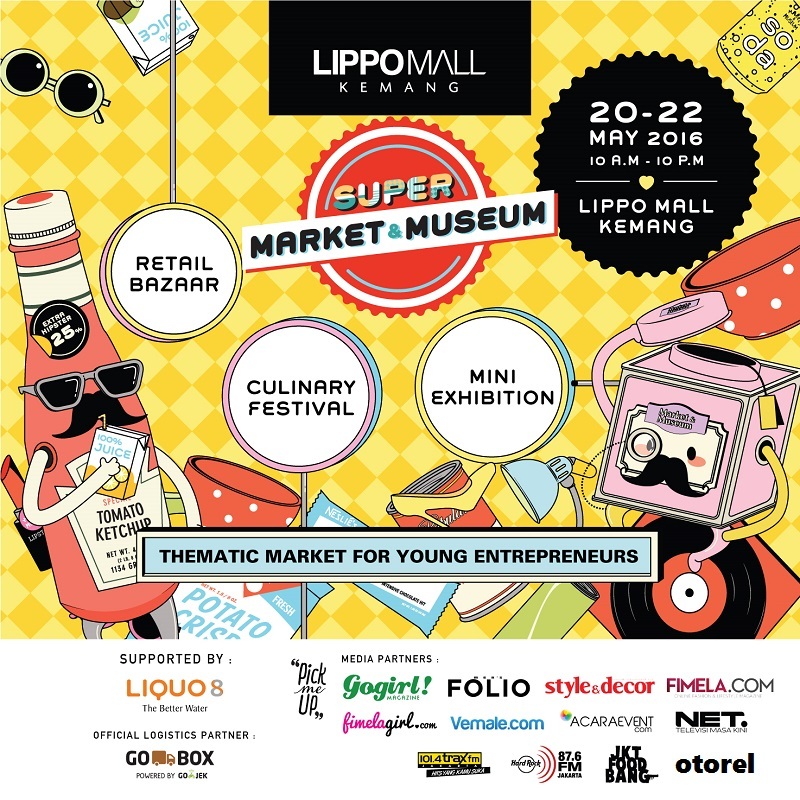 Lippo Mall Kemang present SUPER MARKET & MUSEUM featuring more than 100 tenant this weekend. Enjoy this thematic market with ur friends and family on 20 – 22 May 2016 at Lippo Mall Kemang. It will be more fun than ever!